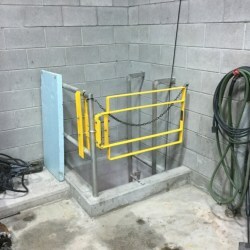 W.S. 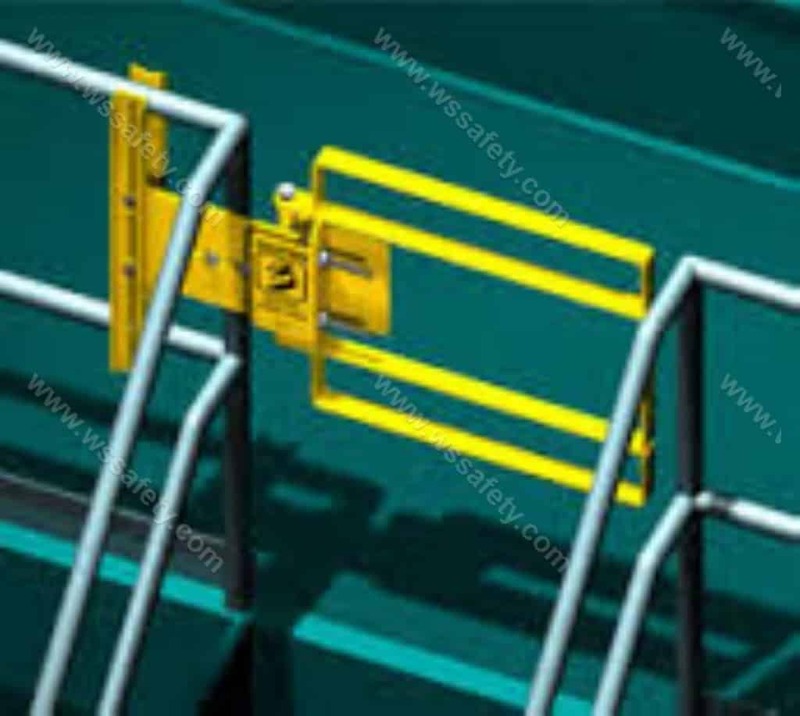 Safety is the Canadian stocking distributor for FabEnCo self-closing safety gates. 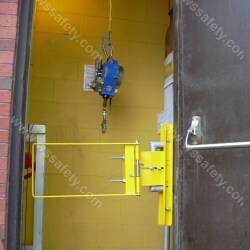 These selfclosing yellow safety gates will dramatically increase the safety of your employees. 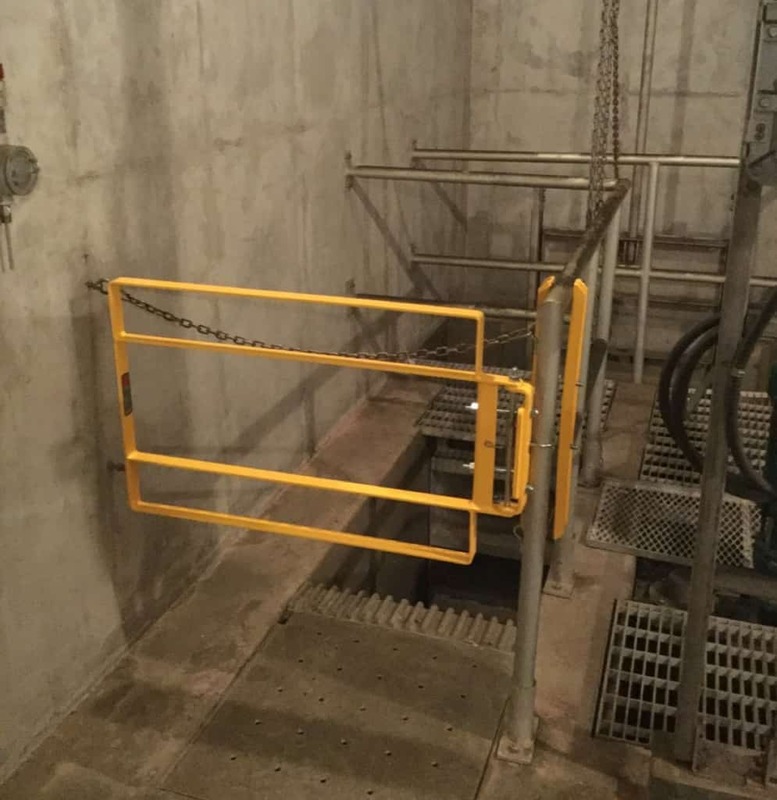 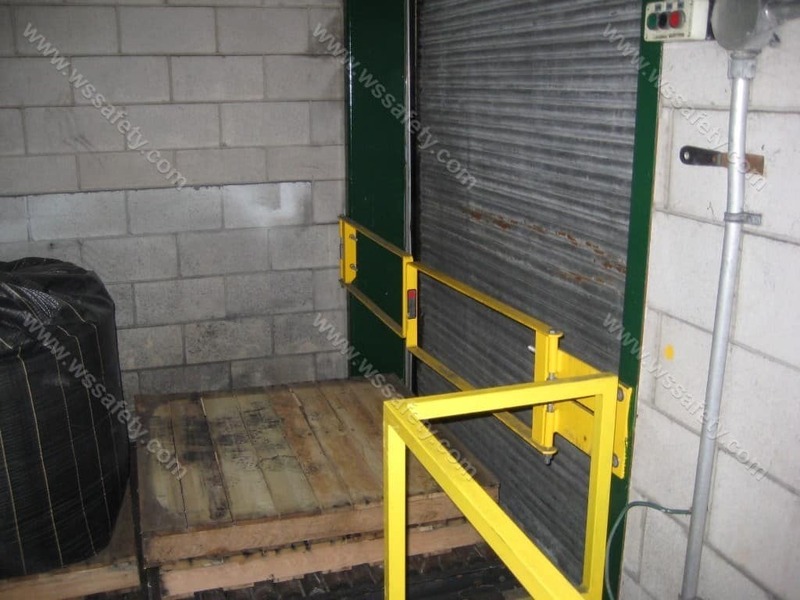 Use these industrial safety gates if you have unprotected openings on your ladders, platforms, stairs, catwalks and mezzanines. 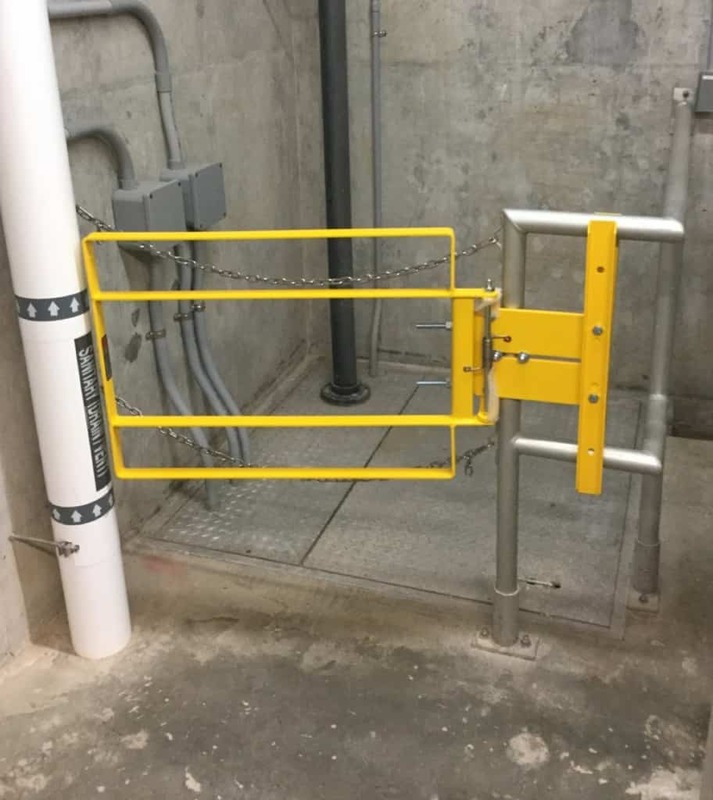 Force-tested up to 300 lbs., the FabEnCo self-closing safety gates are easy to pass through and eliminate the need to stop and lift a bar or undo a chain. 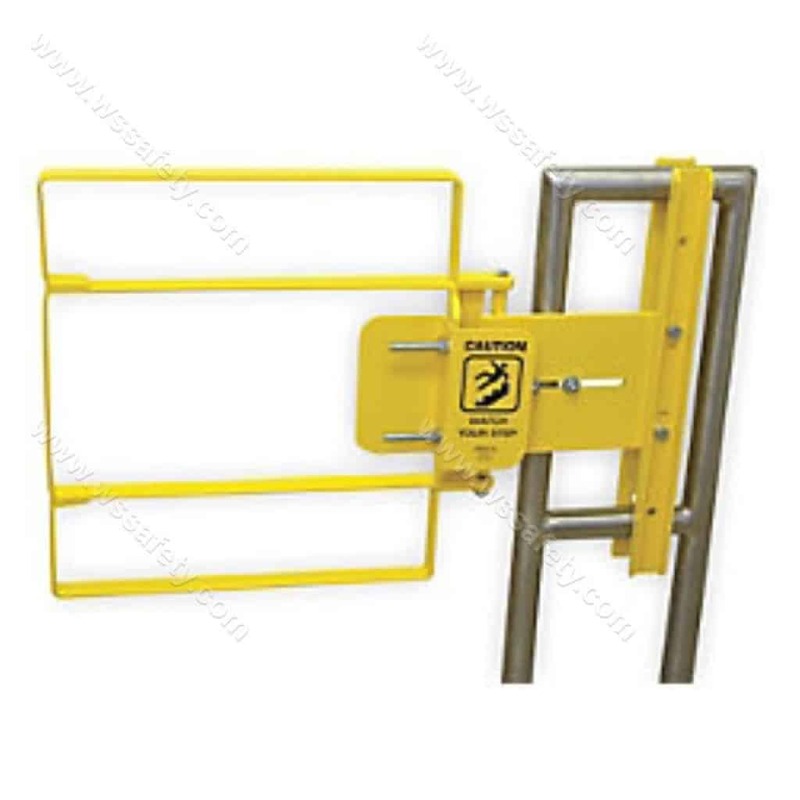 Installation of the FabEnCo industrial safety gate is very simple requiring only 10 to 15 minutes of your time using simple hand tools. 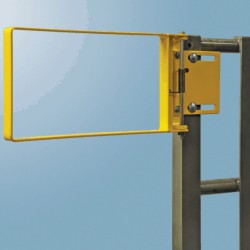 There’s no cutting, welding or drilling necessary. 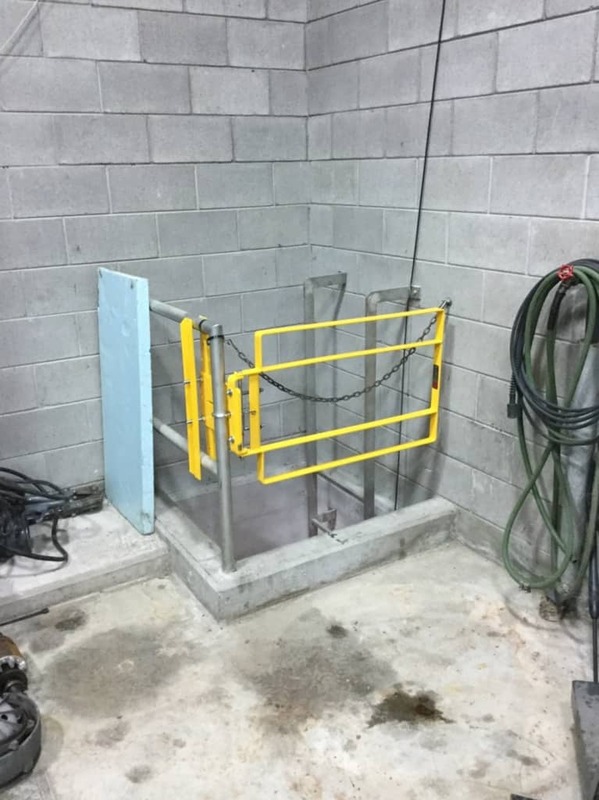 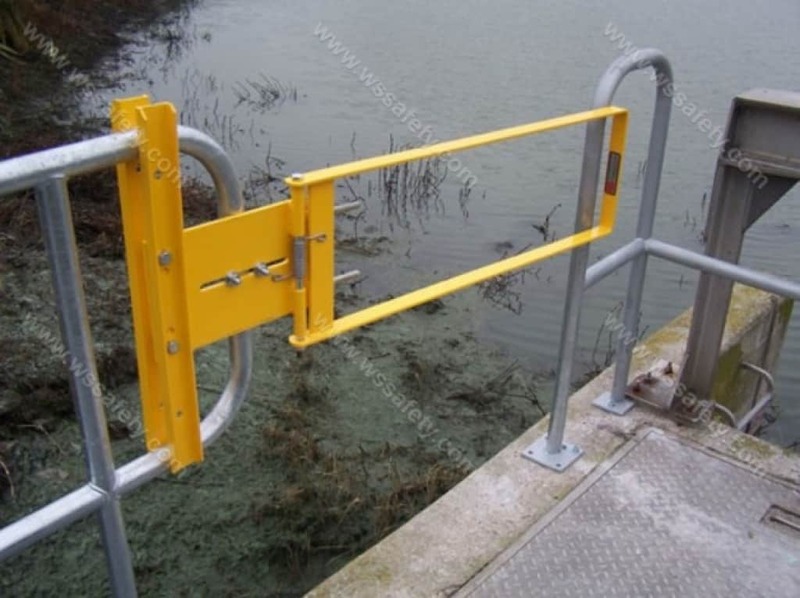 A tried and true design, these gates have been in use in industrial applications for many years and function like new after many years of use. 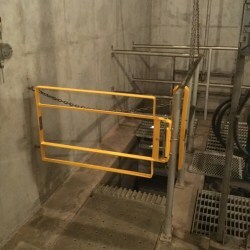 W.S. 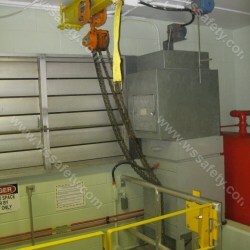 Safety carries all FabEnCo products. 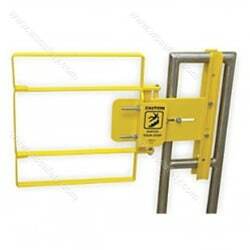 Some popular models are: A series, XL Series, R Series and Z Series self-closing safety gates. 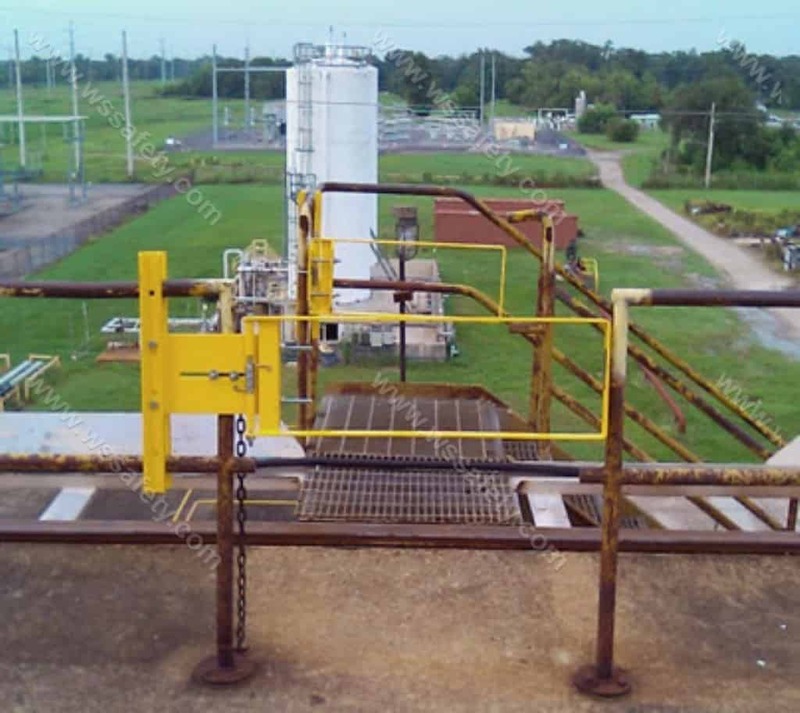 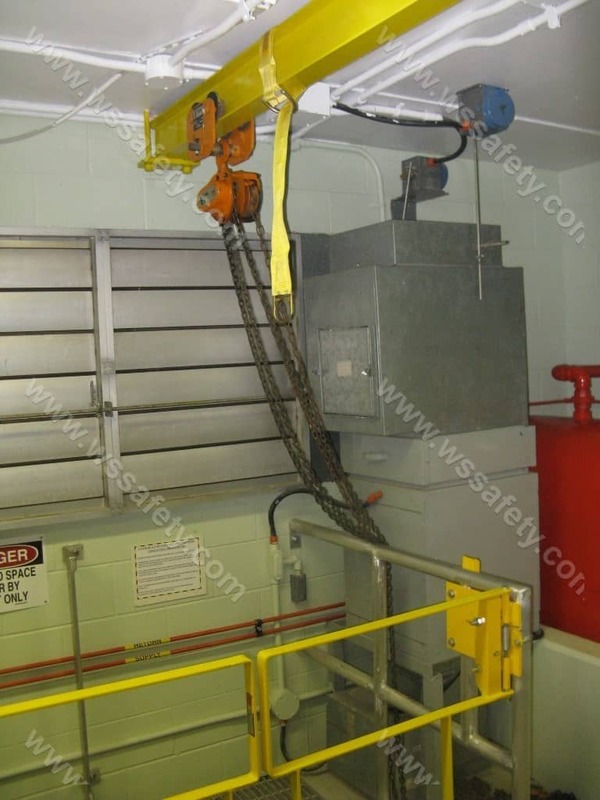 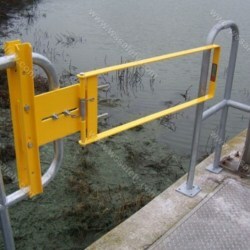 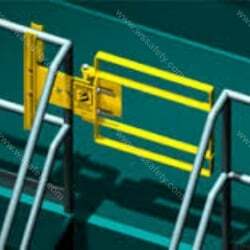 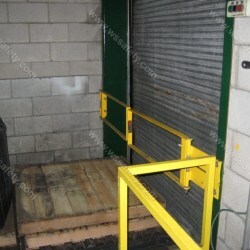 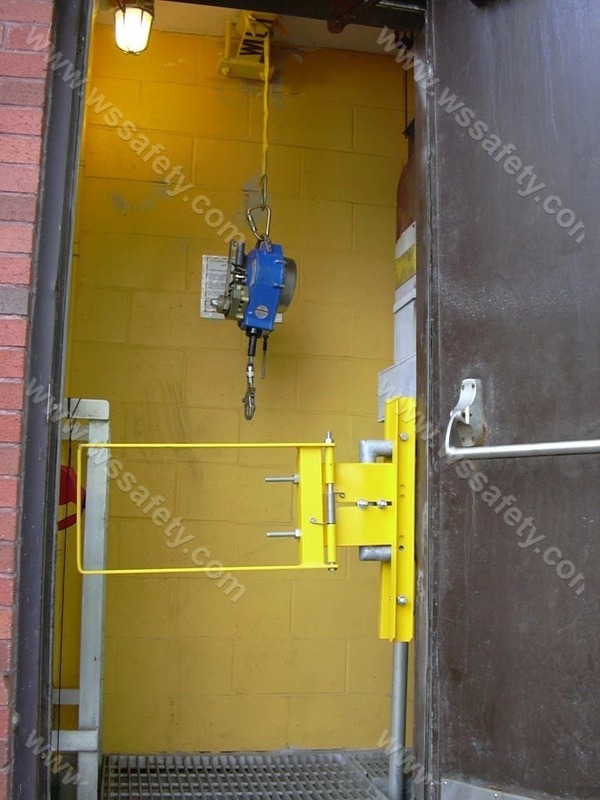 Each of these series offers a safety yellow powder coated option, to provide yellow safety gates. 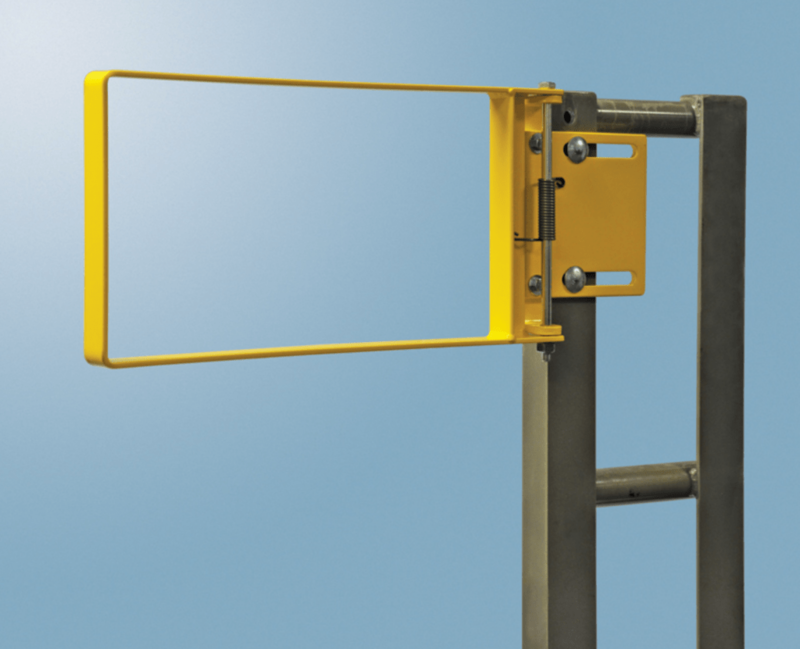 See specifications below to determine which series will best suit your safety gate needs. 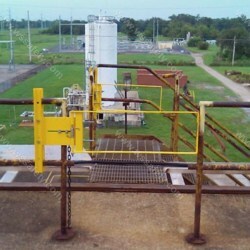 We are available for further questions and consultations as to the best product for your application. 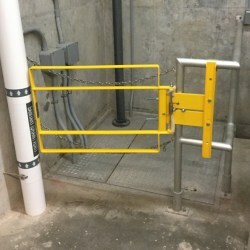 Variety of FabEnCoat™ FabEnCo Safety Gate Finishes – available in galvanized steel or safety yellow powder coated, stainless steel or aluminum.